WELCOME TO THE BEST PRACTICE ASSESSMENT FOR VARs, MSPs AND ITSPs!! VARs, MSPs and ITSPs are evaluated in 12 key areas of business to measure best practices. You will benchmark your strengths and weaknesses so you may improve. The system uses a sophisticated AI Algorithm to confidentially benchmark and score answers based on the business intelligence and data input from thousands of assessments. The test and results are FREE! WHY BEST PRACTICES MATTERS TO YOUR BUSINESS? If you are a VAR, MSP or ITSP, it’s obvious to want to maximize your profitability by improving your efficiency. It says you are the best of the best in the IT Channel when it comes to running your business. The best-managed companies will most likely be the top leaders of tomorrow! GET REAL BENEFITS FROM TAKING THE TEST! It starts by asking yourself the right questions! You will also receive confidential results indicating what you could improve in each of the 12 areas of business practices. Some good advice to help you improve and future-proof your business! Do you want to benchmark your business to best practices? 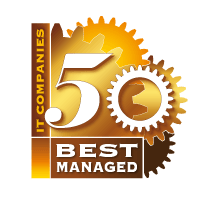 Are you one of America's Best Managed IT Companies? 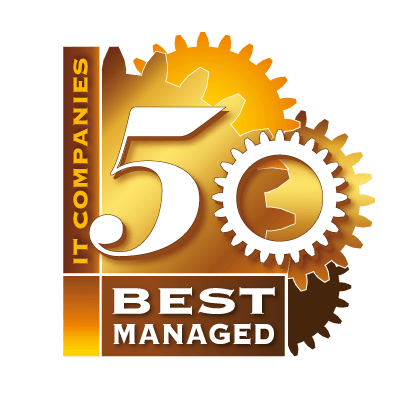 Are you one of Canada's Best-Managed IT Companies? Are you one of Australia's Best-Managed IT Companies? Why take the business assessment test? Know what you do not know! Know how you compare to best business practices! Know your strengths and weaknesses! Know exactly where and how to improve your business! Benchmark your business practices every year to gauge your progress. All for FREE! We have a mission to help the IT Channel to become bigger, better, stronger and smarter. To achieve this goal, we start by helping the channel to better understand their strengths and weaknesses so they may seek the help they need to improve! We also offer resources to help them find local business coaches, peer groups and tools to help them improve their business (see mspofficesuite.com), an educational blog (see varcoach.com) and peer group support (see Elite 300 Mastermind). How did we do this test? Usually, when VARs and MSPs want to do a business assessment, they have to pay a lot of money for a professional consultant to perform the task. We took the very same questions (vetted by over 30 professional business coaches) that they would normally ask and made it into an efficient online test with scoring done by a sophisticated AI Algorithm based on level of importance to the business and business intelligence gathered from thousands of assessments. There are about 200 questions to complete the assessment! We also have experienced business coaches reviewing the applicant’s social media clout, digital presence and overall public image to further augment the results! Many industry leaders and business coaches want the continued success of the IT channel. Vendors and distributors obviously want their channel partners to be stronger. We all have a common interest in seeing a strong and vibrant IT Community well into the future! As a channel marketing company that builds partner ecosystems for vendors (technoplanet.com), our business also depends on a strong channel. As such, we simply decided to offer the test for FREE without any obligation!